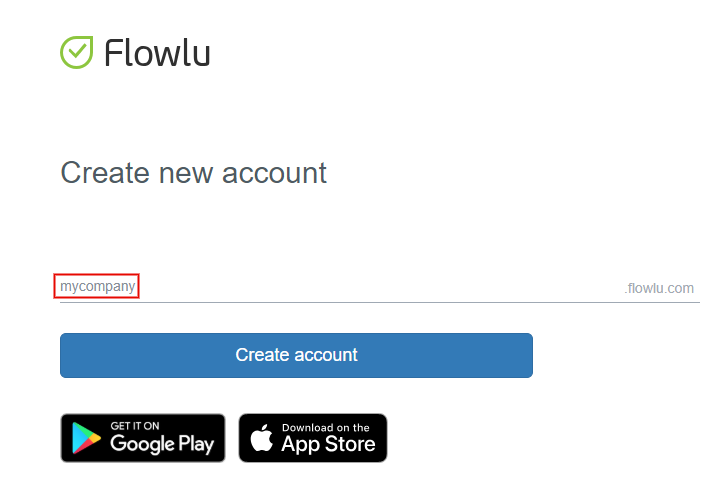 How to register in Flowlu service via Google? Click on “Sign in with Google”. If you have several accounts choose those you need to connect to your profile in Flowlu service. After that come up with site name – for example, your company name may serve as one. 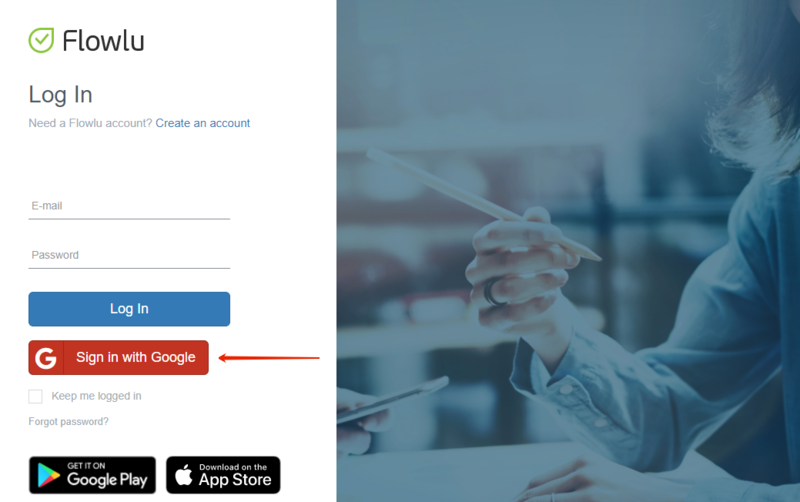 Then link to your account will look the following way: https://mycompany.flowlu.com. After successful registration in service link to your website will be sent to your e-mail. All information you provided in Google account – e-mail, name – will be automatically displayed in your profile. Here with a password is not installed. You can set it up in your profile in “Change password” tab (2). Your password should not be less than 6 characters. If needed you can change your information – name, and e-mail. You can make such changes in your profile settings. After that, you can sign-in by 2 ways - via e-mail and password or using “Sign in with Google” button. 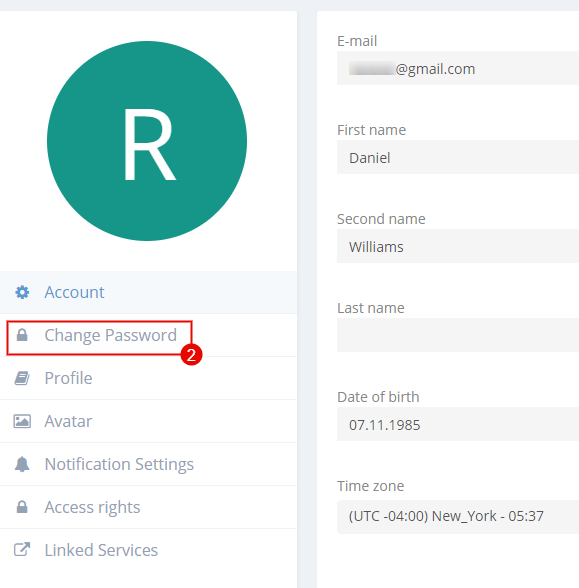 keyboard_arrow_left How to fill in my personal data after registration?